The SQL Server provides various SQL Aggregate Functions, which allows us to perform aggregations such as: calculating the average, sum, minimum, maximum etc. 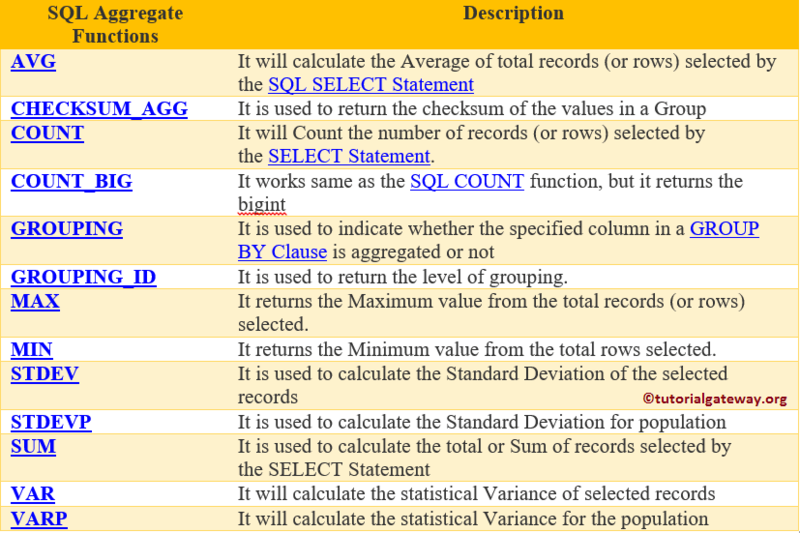 COUNT It will Count the number of records selected by the SELECT Statement. GROUPING_ID It is used to return the level of grouping. MAX It returns the Maximum value from the selected total records. MIN It returns the Minimum value from the total rows selected. 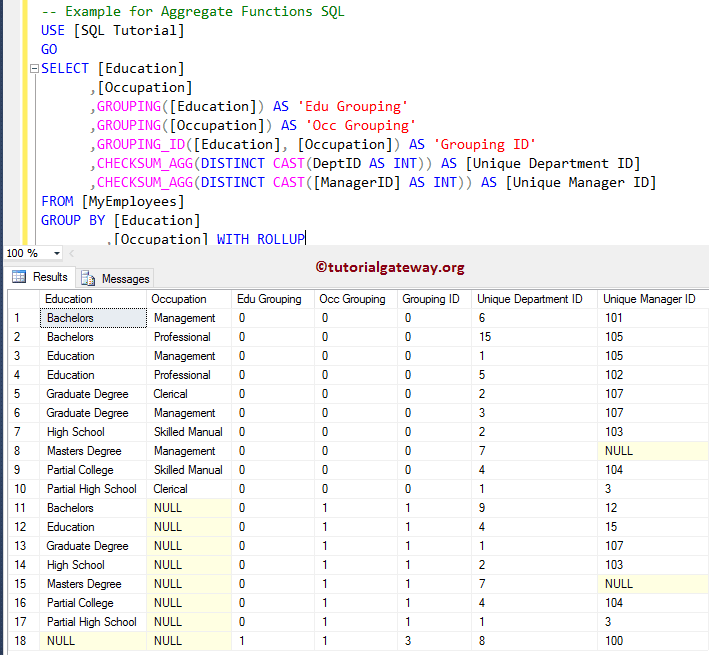 The following query will show you the some of the SQL Server aggregate functions.